The death of Korean boxer Choi Yo-sam eight days after he fell into a coma, after winning his last fight is significant, not just because of the barbarity of allowing the sport of Boxing to exist. It is also significant because it is the ultimate demonstration that a person does not have to suffer an immediate loss of consciousness to suffer a brain injury. Boxing Should be Banned. I remember attending a brain injury seminar almost a decade ago, at the Detroit Athletic Club. 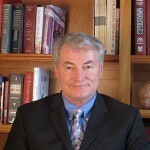 A renowned researcher in the field of brain injury, James Kelly, M.D., was one of the speakers. It was during the same time period that Dr. Kelly’s work with sport concussions and second impact syndrome was beginning to affect the protocols for concussion in sport. In addition to hosting our event, the Detroit Athletic Club was also sponsoring a Golden Gloves Boxing Event on the same evening. Dr. Kelly had joined us for a dinner, yet could barely concentrate on conversation, he was so upset that a Brain Injury Association function was being held in a facility, that was sponsoring a boxing match, on the very same evening. His point: any sport which has as its goal causing a brain injury to your opponent, should be illegal. How can a society that can marshal such outrage over dog fighting, sanction and glorify a sport that kills human beings. The death of a boxer is not an accident. It is the ultimate goal of the sport, to cause the most significant head injury possible to the opponent. The entire science and training of the sport is directed at that very goal. Punch the opponent in the head, causing the greatest immediate injury. That immediate injury is brain damage, brain damage that can kill. The more relevant issue to the type of brain damage I see in my practice is that loss of consciousness does not have to be immediate, for significant brain damage to occur after a head injury. Q. It’s a fact, is it not, that you can have a brain injury without an immediate loss of consciousness? A. Okay. I don’t know. It’s unlikely. In almost every case, these defense doctor’s will conclude that my client is not disabled because he or she did not suffer an immediate loss of consciousness. It is only after I remind them of situations like this Korean Boxer’s death, do they acknowledge that the fundamental basis of their conclusions is flawed. An immediate loss of consciousness is not a prerequisite for a brain injury. Admittedly, Choi Yo-sam resulting coma and death, is not the typical post concussion progression. He lapsed into coma within minutes of the event, and his death was in all likelihood the result of a serious increase in intracranial pressure. The evolving pathology that most individuals with subtle brain injury or post concussion syndrome have, is far less extreme. Yet less extreme, does not mean that pathology doesn’t exist. Any brain damage, can be significant, depending on where that pathology is and to whom. There is significant disability potential in less severe injuries, especially if the injury is suffered to someone over the age of 35. Looking only to the minute surrounding the event, is not sufficient analysis to determine the extent of severity. What do these doctors say about Shaken Baby Syndrome? Isn’t this much like what happens to an adult suffering whiplash? What percentage of these babies lose consciousness? Is it only serious if the baby is slammed against the wall? Do these children suffer from brain damage, isn’t that one of the main concerns, too? So why don’t doctors take whiplash seriously when basically the same thing happens to adults in car accident cases?